With so many choices for woodworking books available online and at your bookstore, it’s often difficult to get clear and reliable information. Which book is best to get and which title might best suit your particular needs? I’ve been a woodsmith in my own right for over 30 years, and I hope to have solved that for you here. I took a close look many many top selling woodworking books, and zeroed in on these top 5 among the dozens (and dozens) you can find on Amazon. Then, I put together this review so you don’t have to spend a lot of extra time (or money) on finding the right book for you. 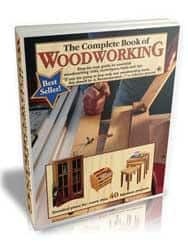 If you’re serious, then in the long run, you’ll probably end up with several books covering various woodworking subjects, but here you can zero in on the “best next one” or beginner woodworking book so you can buy with a little more confidence. With so many books to consider, why not take advantage of my time and research? And so here it is: my awesome reviews of the best overall woodworking books! What Woodworking Projects Would You Like To Do? That’s the first question you really need to answer. If you just want a great woodworking book to get started, or a reference guide for years to come, then you’re covered. If you’re interested in refinishing wood, I wrote an article about staining and finishing a wood door. You might enjoy that article. Author & Publisher: Terrie Noll/ Chartwell Books, Inc.
DIY Wood Projects: Who Wants To Pay For Free Woodworking Plans? When I say free woodworking plans, I mean it. Free is good when it’s good…. DIY-ers have always been pretty thrifty, and for good reason. We have to be! I put together this great resource for those of you who want to get your hands on some high quality woodworking plans without having to pay someone for it. Yes, they exist individually and en masse! 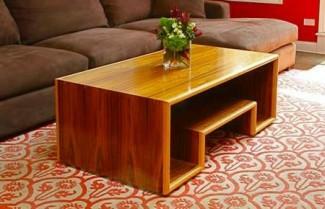 What About Those Woodworking Plan Packages You Can Buy? I’ve done my own research, as usual. To be honest, I originally wanted to include an affiliate link on this page to a compilation of woodworking plans you can purchase (beside the Amazon links to woodworking books I reviewed at the beginning of this post). In my research on woodworking plan packages, I learned a few things. First, there is fairly overwhelming evidence available that some of those sellers of “woodworking plans” are little more than “compilers” of already available information that can be found for free online. To be clear, I have mixed feelings about people who want to sell compilations of otherwise free material. On one hand, if someone goes through the trouble of locating and compiling a large number of files, takes the time to make them available all in one place, then that’s a service that arguably should be compensated. They are offering a time-saving service. I’m okay with that. The problem though, is that many of the woodworking plans being sold are copyrighted works, which are being given away for free by the true copyright holders in exchange for visits to their sites, and use of their resources. Taking them and selling them without permission is kind of, well, like stealing. If you are looking for some DIY Woodworking projects that you can access for free, look no further. Below are a list of links to just a few wood shop projects. Many are beginner woodworking projects and some are for more advanced wood workers. Either way, you can go through them and find something you’ll want to try to build. It’ll get you started at any rate. If you want to connect with a great community of woodworkers on Facebook, I highly recommend liking LumberJocks facebook page. Liking their page is free too. They aren’t paying me anything to say so. The best way to become a genuine woodworking craftsman, like pretty much anything you want to master, is to learn a little and then do a little. Then just keep repeating. Keep going, and discover the joy of creating with your hands. Yeah, it sounds sappy, unless you already know what I’m talking about. Maybe I’ll share more free woodworking plan links in a later post..